Over a 35-year career in law, Matt White has earned his reputation as an experienced and talented trial lawyer. In addition to his primary practice in personal injury cases, Matt also has extensive experience in a wider variety of civil litigation matters, including business disputes and employment law. He lectures often for lawyers and law students on trial practice, ethics, and settlement skills. Over the last few years, he has given presentations for Hastings College of the Law, Lorman Educational Seminars, the Marin County Bar Association, the San Francisco Trial Lawyers Association, and the Marin County Courts. Matt has served often as a judge pro tem in San Francisco and Marin counties, presiding over Superior Court settlement conferences and Small Claims Court trials. Current memberships include Marin County Bar Association, Consumer Attorneys of Marin County, Marin County Trial Lawyers Association, San Francisco Trial Lawyers Association, and the Consumer Attorneys of California. He was the 2013-2014 president of the Richard M. Sangster Inn of Court for Marin, Sonoma and Napa Counties. As a panelist with Resolution Remedies, Matt is frequently appointed by the courts and by other lawyers throughout the Bay Area to serve as a mediator, arbitrator, and discovery referee. Civil litigation, employment, personal injury law. Alternative Dispute Resolution: mediator, arbitrator, discovery referee. General practice, including civil litigation, personal injury, real estate, family law, probate, criminal law, labor law. Presentations to attorneys and law students throughout Bay Area on mediation, personal injury litigation, trial skills, and ethics. Frequent lectures for the Marin County Superior Court, San Francisco Trial Lawyers Association, Lorman Educational Services, Inns of Court, and the Marin County Bar Association. Authored numerous articles on mediation, trial skills, and other legal issues. Taught trial and appellate skills to lawyers at Hastings College of Advocacy (Personal Injury Institute) and to law students at Golden Gate University and the University of San Francisco. Instructor of Legal Writing and Research at Hastings College of Law. 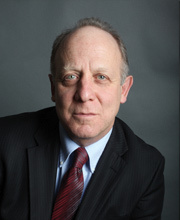 Adjunct professor, University of San Francisco Law School, 2012 – present. Provides ongoing service to the San Francisco, Sonoma, and Marin County Superior Courts as judge pro tem, mediator, arbitrator, and discovery referee. Has received numerous awards and recognitions by peers, including being selected as a Northern California “Super Lawyer” in 2005, 2006, 2007, 2008, 2009, 2010, 2011, 2012, 2013, 2014 and 2015. Achieved AV (highest) rating, Martindale-Hubbell® Law Directory. Has served on Board of Directors for nonprofit organizations, including Legal Self-Help Center of Marin, the Marin Justice Center, and Spectrum LGBT Center (President, 2010-2011). Currently on the board of Alternate Defenders Inc., and the Consumer Attorneys of Marin. 2013-14 president of Richard M. Sangster Inn of Court for Marin, Sonoma, and Napa Counties. Elected President of Marin County Bar Association, 2004. Has held every leadership position in organization, including four other officer positions, member of Board of Directors, and chair of numerous committees. Founding chair of MCBA Diversity Section. Served as chair of Bench Bar/Administration of Justice Committee. Alternate (standby) member, San Rafael City Council, 2006–2014. Administrative Hearing Officer, Campaign Expenditure Ordinance, San Rafael and San Anselmo. Appointed to numerous Marin County Superior Court “blue ribbon” committees to improve civil justice system, including Local Rules Rewrite Committee, Interdisciplinary Bench-Bar Settlement Conference Program Committee, and Family Law Case Management Program Committee. Served on State Bar Canvassing Board and Commission on Continuing Legal Education. Extensive advanced mediation training, including programs from Professional Mediation Associates, First District Court of Appeal, and Northern California Mediation Center. Co-authored, with Judge Lynn Duryee, Mastering Mediation, a practical manual for advanced mediators (West/Thomson Reuters 2012).